This mirror work purse bag is beautifully designed in order to make it any women’s personal favorite. 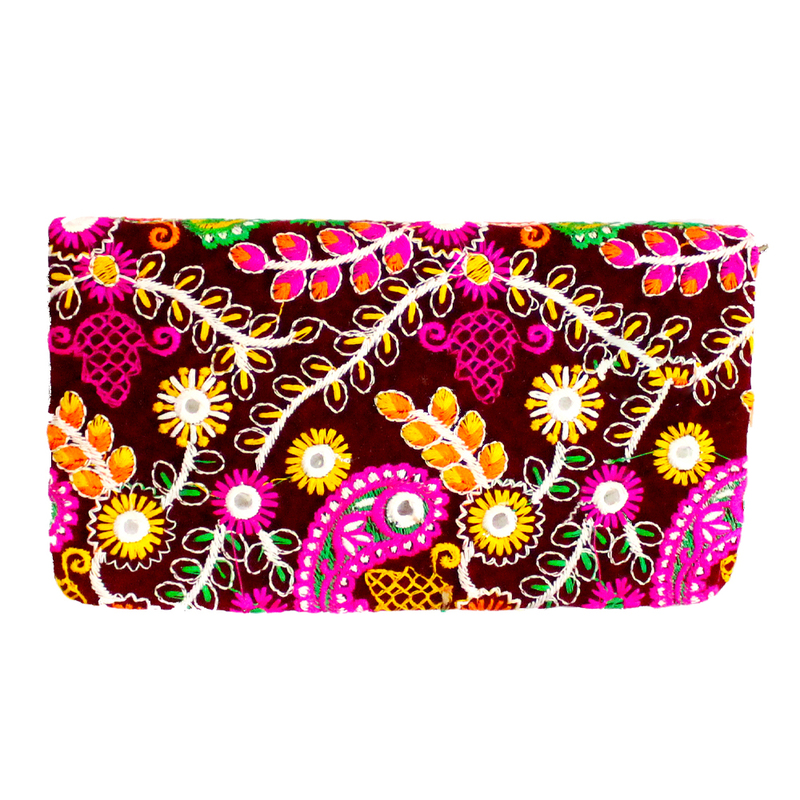 This clutch bag has a chocolate brown base Read More..which has been caricatured at regular interval with colourful embroidery designs. The detailed and neat placements of circular mirrors have made the purse a tad more pretty. Show Less..